If you’re marketing a product or service to a large group of potential customers, you’re likely using pay-per-click, or PPC, services to drive traffic to your website. However, are you getting the most out of your ad spend? Or, has your PPC account gotten away from you, costing you more money than it’s worth? Read on to learn how to find out. 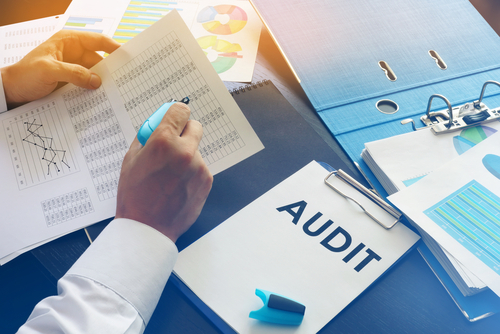 Why Should You Conduct a PPC Audit? Upon entry of a keyword search, services like Bing Ads and Google Ads generate a sponsored link from the pool of websites that have bid on that keyword. Google Ads rewards websites with a high Ad Rank, based on the company’s bid for the ad as well as the website’s quality score, calculated by your relevance to the keyword, click-through rate, and the general quality of your page. Generally speaking, the more useful your website proves via click-throughs to the users searching for a keyword, the less Google will charge you for each click and the more likely Google will choose your website. Crafting a PPC campaign requires a good deal of research. If your campaign includes irrelevant keywords, you’ll drive traffic to your site and pay for clicks that never had a chance of developing into sales. If your quality score is low, you risk sinking into obscurity and paying more for the few clicks you do receive. Consider conducting a PPC audit when you begin managing a new account. Additionally, if you notice your clicks dwindling, or your return on investment diminishing, you should begin to address the potential causes. Finally, even if you manage a successful account, consider performing a PPC audit once every six months so you can continue to optimize keyword selection and promote growth. You need to have a way to determine how effective your PPC campaign actually is, and the best way to do that is to track your conversion goals with Google Analytics. Analytics allows you to set goals within Analytics, and then import them into Google Ads. What is the goal of your PPC campaign? Whether that’s form completion or sales transactions, make sure you set the proper conversion goal. Otherwise, you’ll have no idea how effective your campaign is, or how to optimize it for further growth. Unfortunately, a recent report revealed that nearly 60% of Ads accounts failed to set a conversion goal at all, and only 29% correctly set up their goals, resulting in skewed numbers that inaccurately reported a conversion every time a user clicked through to the homepage rather than made a purchase. Ensure your goal codes for the correct form of conversion you’re trying to achieve. If your campaign’s goal is to spread your brand far and wide, increasing visibility and driving user traffic to your page, you may want to choose the Google Display Network to house your campaign. The GDN places ads on pages users are viewing for purposes other than searching for keywords.However, if your goal is to increase sales of your product or service, it is often ideal to stick with the better-known form of PPC on the Google Search Network. The GSN uses the procedures named above to optimize clicks for pages based on keyword searches for users actively searching for products and services like yours. Though you can certainly run a PPC campaign on both networks, keeping those campaigns separate instead of running the same campaign on both networks helps you keep your data as simple as possible and allows you to determine the efficacy of, and make changes to both. Review your targeted user locations, and eliminate any locations your business cannot feasibly service. You can use this opportunity to evaluate locations that are performing well, and hone your focus on those regions; consider altering your strategy for underperforming locations, or eliminating the poorest performing ones altogether. Do you wish to target mobile users? If so, take a moment to analyze how effectively you’ve reached mobile users by viewing your performance by device. If you haven’t been targeting mobile users but want to start, activate and increase your mobile bid. If you’re underperforming, consider increasing your bid. Finally, ensure that you have optimized your landing page for mobile access. Review the keywords selected for your campaign, and sort by either clicks or cost. This will give you a priority list to work through. Then, use your chosen performance metric, like conversion rate, and determine which keywords are costing you money but returning very little. Decrease your bid rate for those keywords, or consider moving them to another ad group or eliminating them altogether. In the same way, address your negative keywords and ensure that each negative keyword addresses common irrelevant searches you don’t wish to return results for. Utilize your tactics for well-performing keywords to address those that under-perform. You can improve ad relevance by including keywords naturally in your page title, headings, and descriptions. Improvements to expected click-through rate prove a bit more difficult, but can include increasing your bid rate or adding offers to your ads. Landing page experience depends mostly on the overall quality of your website, and the presence of keywords found naturally in your copy. Does your landing page provide a good user experience? Can a user find the item or service they searched for fairly quickly on the chosen landing page? Optimizing click-throughs does little good if a poor-quality landing page turns away users. If you run all your keywords on the same match type, you’ll receive either too-broad or too-narrow results. Too-broad matches result in a host of clicks based on irrelevant searches that provide no conversions and reduced quality scores. Too-narrow matches result in very few clicks at all. Carefully designing a strategy that implements a few broad matches and specific narrow matches can provide the best of both worlds. Once you’ve audited your PPC account, allow your settings to remain static until you audit again. At that point, you can compare your new performance metrics to the old and gauge whether the changes you made positively affected your goals. With each audit, your PPC campaign will grow closer and closer to targeting the ideal audience for your business.